Subaru’s new Justy supermini is now on sale, offering outstanding fuel economy, equipment and space plus ultra-low exhaust emissions which should make it exempt from the proposed new London Congestion Charge. In fact, with a 64.2 mpg Extra Urban figure, ultra-low 118 g/km exhaust emissions and annual £35 Road Fund Licence, the new Justy 1.0 R promises to be one of the cheapest petrol-engined cars to run on UK roads. However, the five-door body offers interior space from the next class up while the efficient, 69 PS three-cylinder 1.0 litre engine offers sufficient power for long-distance driving. Top speed, for example, is almost 100 mph and the 0-60 mph time is 13.5 seconds. The new Subaru Justy also carries a peace-of-mind five-year/60,000 mile warranty backed by five-years’ UK and European roadside assistance. 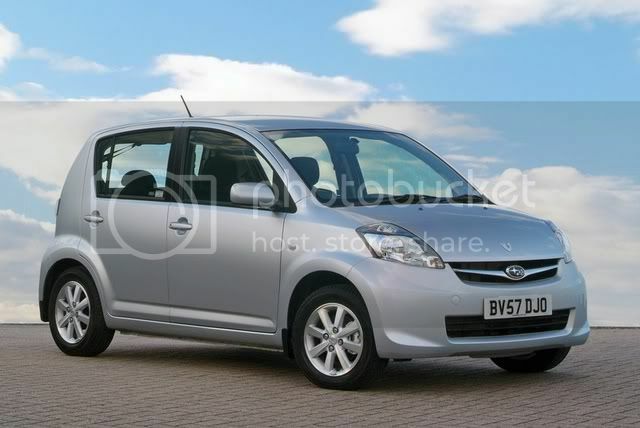 Standard equipment is outstanding for a small car and includes: ABS with EBD, driver, passenger, side and front and rear curtain airbags, alloy wheels, air-conditioning, radio/CD player, rev-counter, fuel-economy read-out, four electric windows, reversing sensors, remote central-locking with alarm and ISOFIX child-seat mountings. 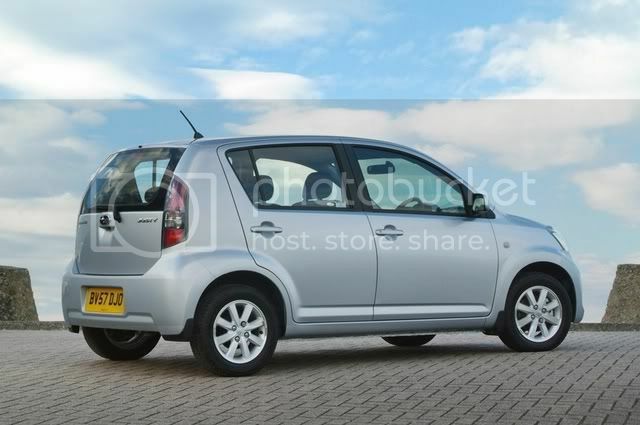 The front-wheel drive Justy is based on the Japanese-built Daihatsu Sirion. It is supplied thanks to an arrangement with Toyota which has a share in both Subaru and Daihatsu. Subaru’s version will be limited to only 6,000 units per year throughout the whole of Europe and 1,000 sales in the UK, ensuring strong residuals. Strong Customer Loyalty - Lawrence Good, Subaru (UK) Limited Managing Director said: “Everyone is very enthusiastic about the new Justy as it is will appeal to environmentally-conscious motorists and those seeking ultra-low running costs. The new Subaru Justy carries a five-year/60,000 mile mechanical warranty and five-years’ UK and European roadside assistance. It also has a 12-year anti-perforation warranty and its Group 5D insurance rating is also highly-competitive. 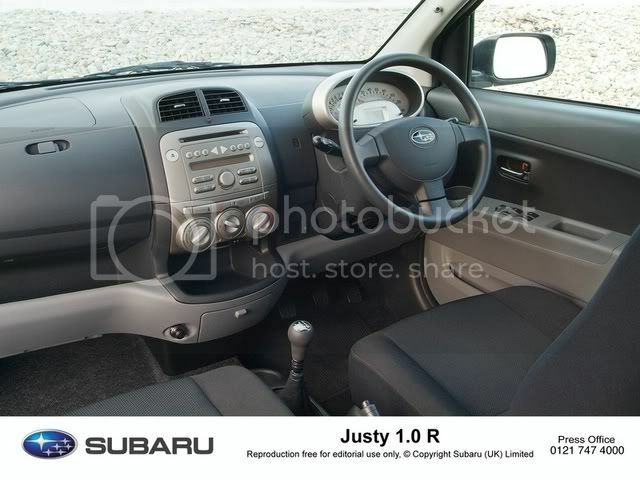 Spacious Interior - The new Subaru Justy has a particularly spacious five-seat interior clothed in a stylish body with an exceptionally low 0.31 Cd drag coefficient which improves fuel economy and high-speed touring and refinement. Its wide-opening doors and 590 mm seat height allow easy entry and exit – especially appreciated by older customers. The rear doors, for example, open to 80 degrees. Luggage space measures 225 litres with the rear seat up and 630 litres (VDA) when folded, making it a practical small family car. Its turning circle is an especially tight 9.4 metres. Well-Proven Powertrain - The punchy 1.0 litre twin-overhead camshaft petrol engine – mated to a manual five-speed gearbox is not only extremely economical and low-polluting but also well-proven. In fact, the same three-cylinder engine not only sees service in the Daihatsu Sirion but also in the Toyota Yaris and Aygo, Citroën C1 and Peugeot 107. Producing 69.3 PS at 6,000 rpm and 69.3 lb ft of torque at 3,600 rpm, the 12-valve unit offers some of the highest outputs for its class. And the variable valve-timing enhances both low-speed pulling power and high-rev responsiveness. Top speed is a highly competitive 99.4 mph with a 0-60 mph time of 13.5 seconds. Meanwhile fuel economy figures are class-challenging at 46.3/64.2 and 56.5 mpg on the Urban/Extra Urban and Combined Cycles. In addition, the CO2 emissions are among the lowest available in a petrol-engined car at 118 g/km. This puts the Justy in Band B for Road Fund Licence at only £35 per year and should result in it being London Congestion Charge-free when proposed new changes take place in 2008. European-Tuned Chassis - The new Subaru Justy benefits from a European-tuned chassis which has long suspension-travel for a smooth ride. Unusually, anti-roll bars are fitted at the front and rear which combine with firm damping to aid agility. The front suspension is via MacPherson struts and the rear is equally conventional featuring a torsion bar with separate coil springs. Its power steering is via an electric system which helps fuel economy but has been tuned for more feel than provided by some competitors. Safety-wise, the new Justy’s multiple airbags are complemented by an advanced braking system featuring not only anti-lock ventilated front discs and rear drums (ABS) but also Electronic Brakeforce Distribution (EBD). This optimises the braking force according to the weight distribution of passengers and luggage.